We’re the only UK brewery to have three different beers named Champion Beer of Britain at CAMRA's annual Great British Beer Festival. Collectively, our Chiswick Bitter, London Pride and ESB have received this accolade an unprecedented five times. 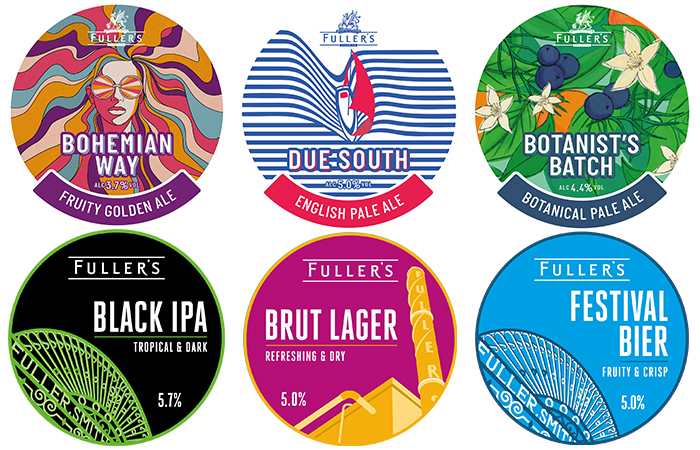 From Honey Dew, the UK’s best-selling organic beer, and pale ales like full-bodied Bengal Lancer and double-hopped Wild River to full-flavoured traditional ales like HSB and our rich, dark, award-winning London Porter, we brew beers of the finest quality to suit every discerning palate. With the changing of the seasons comes the changing of the barrels. Explore Fuller's range of international imports, including Sierra Nevada. We export across Europe and beyond so wherever you are, you’re never far from Fuller’s. Find your nearest stockist.